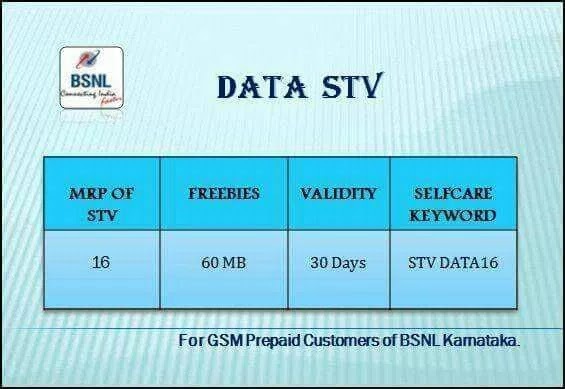 BSNL Offering 60 MB Data Valid For 30 Days at Just Rs.16. -> Offer Valid for Karnataka Users. So Recharge now to get Benefit of 60MB at Rs.16 Only. • That's it! You will get 60 MB Data with 30 Days Validity.